The rare eye disease Leber Congenital Amaurosis, caused by a defective gene, has a new genetic treatment. This is the first time the US Food and Drug Administration has approved gene therapy for an inherited disease. The RPE65 gene provides a blueprint for a protein that makes light receptors work properly. 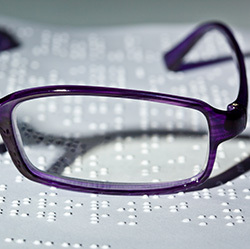 Individuals with a defective RPE65 gene eventually go blind. Eye doctors may diagnose them with Leber Congenital Amaurosis or retinitis pigmentosa. Symptoms begin in childhood. The therapy is called Luxturna. Spark Therapeutics created a corrective RPE65 gene. They used an artificial virus to deliver it to the retina. Doctors injected the substance directly into the eye. Patients have had significant improvement in their eyesight. The longevity of the treatment is not known. The initial subjects from 2009 are still experiencing benefits. Mutations in one of 13 different genes cause Leber’s Disease. However, the subjects in the studies only had a defective PRE65 gene. The work has much broader implications. Genetic therapy could address a large number of inherited diseases. The FDA approval of Luxturna is groundbreaking. This is the first approval of gene therapy for an inherited disease. Gene therapy may also prove useful for other eye diseases. Fuch’s Corneal Dystrophy, Retinitis Pigmentosa, and Leber’s Hereditary Optic Neuropathy are the subject of genetic therapy research. Genetic therapy could address eye diseases such as glaucoma and macular degeneration in the future. These eye diseases do not have a clear hereditary pattern. Only about 1,000 to 2,000 Americans have this specific mutation. Since the market is minuscule, Spark Therapeutics may charge a literal fortune for this therapy. Currently, the federal government does little to regulate drug prices. Ideally, eligible patients will have access to this vision-saving therapy.